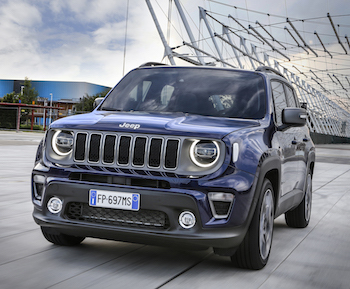 The FCA Melfi Plant in Italy is beginning preparations to produce the Jeep Renegade Plug-in Hybrid Electric Vehicle (PHEV) scheduled for market launch in early 2020. The Renegade PHEV will be produced alongside the Renegade and 500X with internal combustion engines that are currently produced at Melfi. It comes as Fiat Chrysler Automobiles (FCA) desperately plays catch up with fast growing market demand for vehicles equipped electric and hybrid powertrains. One of new FCA CEO Mike Manley’s most pressing tasks going forward is to roll out electric and hybrids propulsion options across the range as the Italo-American carmaker finally gets to serious grips with a trend it failed to see coming. Former long time CEO Sergio Marchionne was famously dismissive of the move towards electrification and thus it falls to Manley and the new team to correct this strategy omission. Producing a PHEV option on a smaller B-SUV vehicle that's sold on both European and the North American markets will be a useful stepping stone and is likely to be extended later on to the more relevant 500X which shares the same underpinnings with the Renegade. Pre-production units of the new Jeep Renegade PHEV are scheduled to hit the roads next year. The investment for the new engine launch equates to more than 200 million euros and also includes a commitment by FCA for training all workers on the application of this new technology. Some of the plant facilities involved in the production process will also be modernised. "With over 742,000 Renegades produced to date in Italy, the Melfi plant and the Renegade are the ideal location and the perfect product to launch the PHEV, further strengthening the offer of this highly successful Jeep," reckons Pietro Gorlier, the recently appointed Chief Operating Officer for Europe. During the "FCA Capital Markets Day" eventlast June, when the latest “2018-2022” business plan was presented to investors, FCA claimed that one of the most important change factors addressed in the strategic plan is electrification. "Investments during the plan period result in a portfolio of technical solutions that will enable FCA to comply with the regulatory requirements in each sales region," said FCA in a statement that was issued yesterday to announce the Melfi plans. "At the same time, the technology will also be applied to enhance the specific strengths of each brand." The Renegade PHEV is the next step in FCA's roll-out of electrification as it tries to play catch up, following the launches of the PHEV Pacifica Minivan and the mild-hybrid e-Torque technology seen on the Ram 1500 truck earlier this year. By 2022, FCA claims it will offer a total of twelve electric propulsion systems (BEV, PHEV, full-hybrid and mild-hybrid) on its global architectures. It further claims that thirty different models will be equipped with one or more of these systems. However, plans outlined in FCA investor presentations rarely align with actuality so it remains to be seen how far along the road to achieving these targets it is able to get.